I have to say I'm now in LOVE with L'oreal Voluminous! 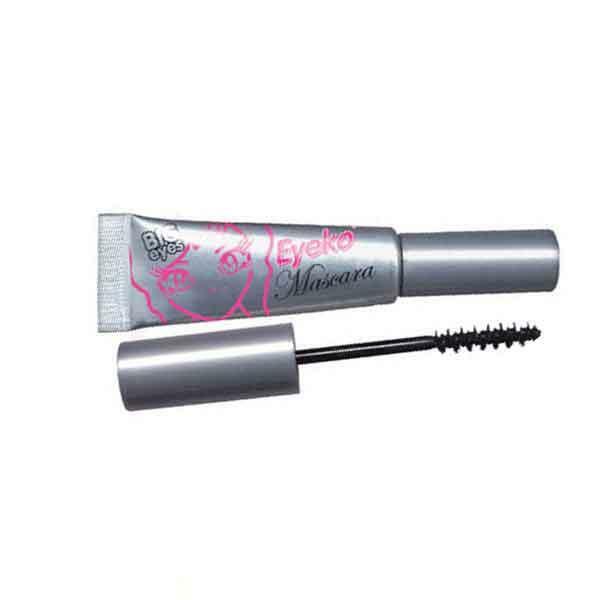 I used a primer and then proceeded to coat my lashes with this and it's probably the only mascara that has ever promised 'no clumps' and has actually delivered! 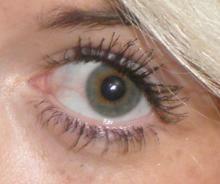 I'm one for big spidery eyes but now my eyelashes look long and full but much more toned down and natural. This was definitely a good buy it will be perfect for subtle eye make-up for job interviews/work etc etc. 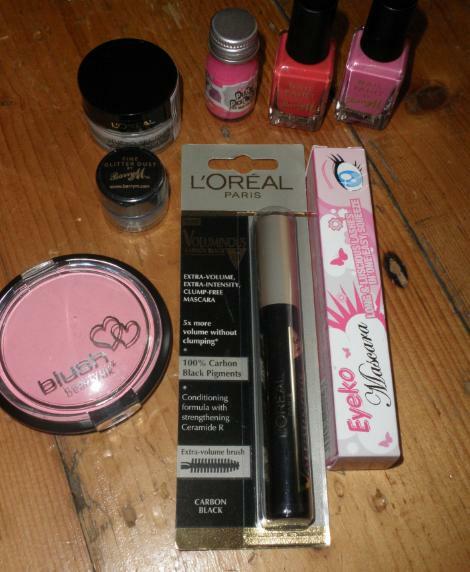 I will do a review on the L'oreal studio secrets primer another day :) I also bought Barry M nail paints in CORAL and BRIGHT PINK and Barry M lipstick 100 and dazzle dust in '20' (a midnight blue colour). My last purchase was from a very cheap brand called 'BeautyUK' (No i've never heard of it either) and it's the blusher in the photo it's colour 'No 6' and it's a gorgeous light pink and I will try and take photos tomorrow it was a brilliant find! I was sadly disappointed. 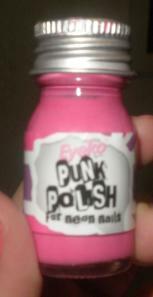 Don't get me wrong it is a wearable, pretty colour but 'raving' or 'punk' - I don't think so Eyeko it's muted and dull and no different to any other hot pink on the market. 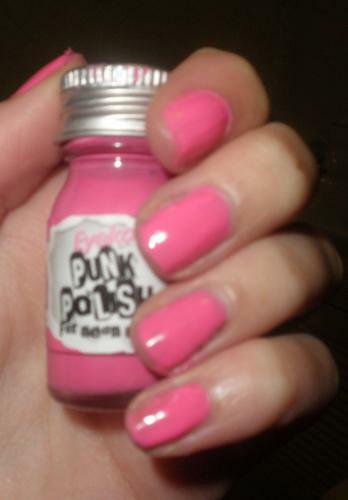 You could easily wear this to work or in the day time with a casual outfit and I wouldn't expect a 'Punk' nail varnish which promises neon nails to be suitable for either of those occasions - and if i bought this for a Rave party i'd be very underwhelmed. Look how TINY the brush is in comparison to the gigantic bottle! 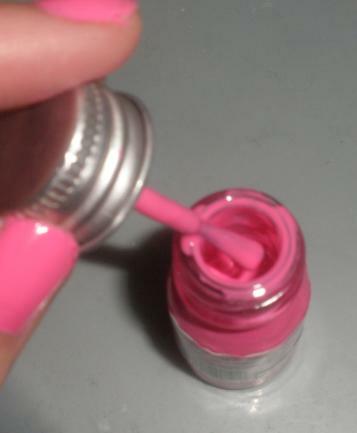 It doesn't even begin to touch the sides this therefore means when you dip the little brush in it becomes completely over-loaded with nail varnish thus causing big blobs to fall onto the nails and far too much product! With one dip I had enough varnish to paint an entire hand which may sound great but in reality it meant the product was beginning to get sticky and I had to rush and as you can see my nails are not painted well at all. Overall the packaging gets 10000% because it's fantastically cute but the colour was not what it promised on the tin and the brush size and shape was entirely wrong for the bottle combined with the thick consistency of the polish itself. Unimpressed Eyeko!